Debra is available for concerts, festivals, library programs, museums and schools and her versatility in the material she presents makes her a perfect fit for almost any venue. refrains. Her material ranges from the old traditional ballads to songs written by modern writers. 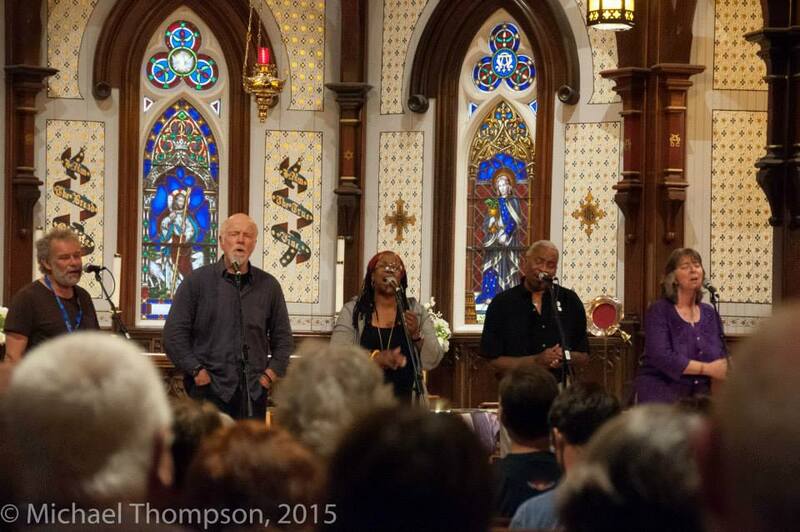 The songs she sings tell stories about the conditions, struggles, joys and experience that we encounter as people. Debra loves performing in festivals. 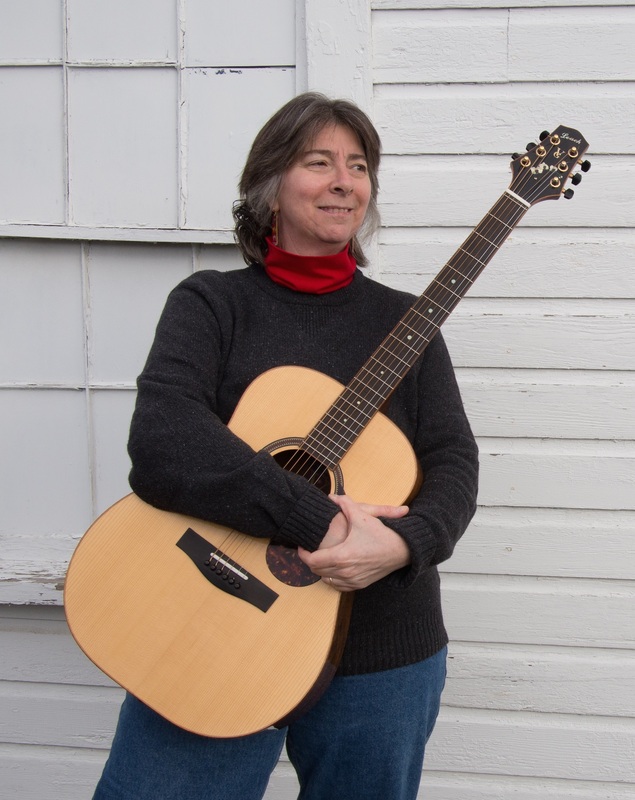 She enjoys workshops and can find a song to fit into any theme of any workshop. 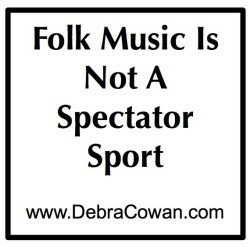 Debra also likes interacting with other artists in festival settings and she has lent her harmony talents to other artists to create several “magic moments” in festivals in which she has appeared. 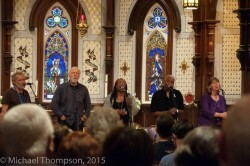 To the left, Debra is leading the Civil Rights anthem “O Freedom” in a “Songs of Social Change” workshop with John Gorka, John McCutcheon and Kim and Reggie Harris at the Lunenburg Folk Harbor Festival in 2015.